Paul Bezazian, Chicago Firefighter as well as Post Quartermaster taught attendees the dangers of fire, how to prevent them, and how to make escape plans in case of fire. 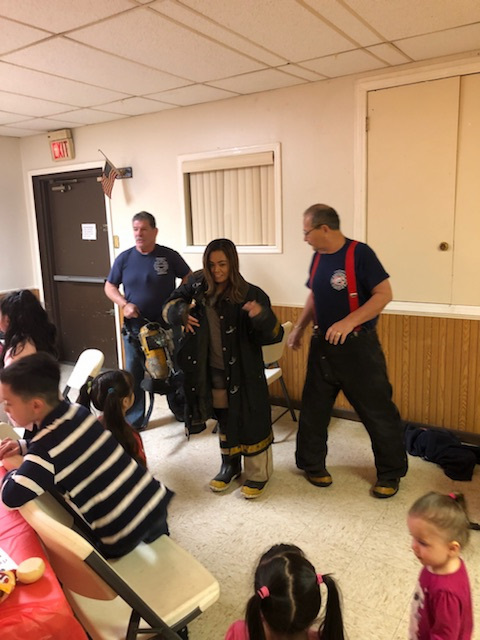 Paul Bezazain also put on safety training for the children and parents along with another retired fire fighter. Smoke Detectors and boxes of baking soda (For grease fires) were given away. A local business provided fire extinguishers that were raffled off. VFW Posts 8322 and 1284 have made plans to hold annual safety events with the Chicago Police Department.The Veterans of Foreign Wars Posts 1284 and Post 8332 hosted a Fire Prevention Week Open House October 7that Armed Forces Post 8322, 6940 W Diversey, Chicago.